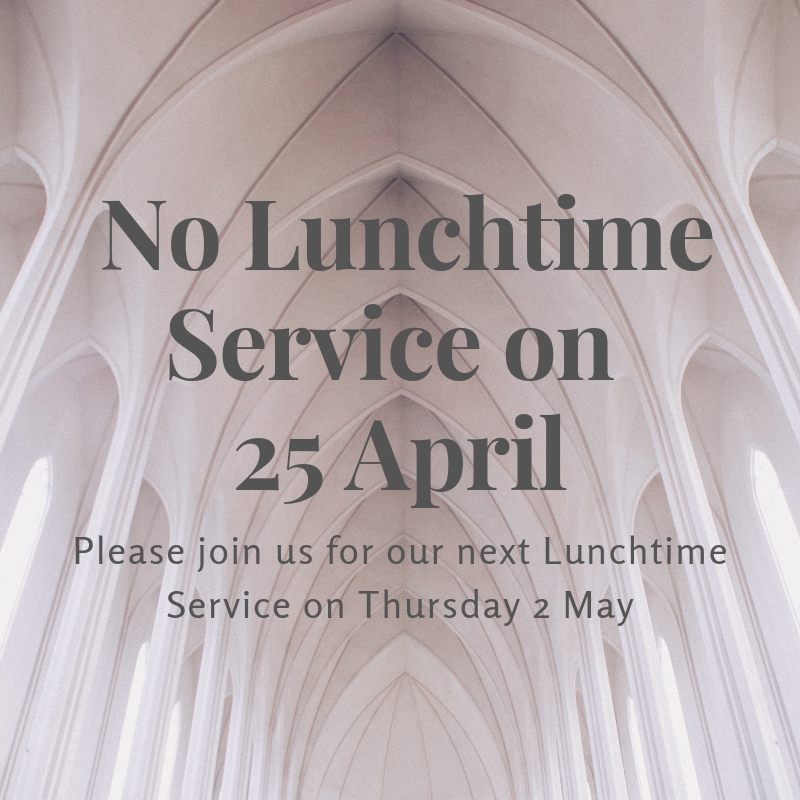 Please note - there is no Lunchtime Service on Thursday 25 April. Our Thursday series begins again on Thursday 2 May with 'Wise and Witty Words', a look at humour in the Bible. To help us celebrate there will be an exhibition, speakers and the Nigerian Fellowship Choir.